Volcanos, superb waters, history and archaeology, the Aeolian Islands and Sicily has it all. Just north if Sicily you have a group of seven spectacular volcanic islands called The Aeolian Islands. The islands emerged from the pure and clear waters of the Tyrrhenian Sea thousands of years ago and has a natural and savage beauty. The classic features in the continuing study of volcanology world-wide, historical, and cultural elements made The Aeolian Islands to be listed by the UNESCO World Heritage Site in 2000. There are two active volcanoes – Stromboli and Vulcano that make for a perfect al-fresco dining backdrop whilst circumnavigating the islands on your luxury charter yacht. Some of the other islands also have volcanic activity such as thermal waters and steaming fumaroles. Considered as one of the most active volcanoes on Earth, Stromboli has been erupting almost continuously for over eighty years. Known as the “Lighthouse of the Mediterranean” it is among the world’s most visited volcanoes. Carefully watched by scientists the volcano can be climbed at it’s more quiet moments together with a certified guides. Oldest, lowest and smallest of the Aeolian Islands is the island of Panarea. The clear blue waters with fascinating underwater volcanic vents together with many shops, bottegas and nightlife makes the island an active tourist destination. Alicudi is the most western island in The Aeolian Islands. This green and silent island is almost untouched by man has an impressive natural beauty. Craters of inactive vulcanoes are characterising both Alicudi and Filicudi. This wild area has a thriving marine wildlife and spectacular coastlines. Second-largest island and highest is the island of Salina. 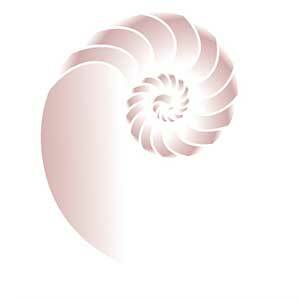 It is home of La Fossa dell Felci, a wooded area of ferns beautifully located on the cliffs above the islands beaches. 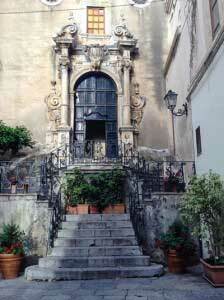 The main and largest of The Aeolian Islands is the island of Lipari. White cliffs and beaches adds a special touch to this hot spot holiday destination for Italian and Worldwide jet-setters. Named after Liparus, the father-in-law of the Greek God of the winds, Lipari was settled in the 4th millennium BC. The ancient Greek acropolis of Lipari, stand in the centre of the historical settlement known as Castello. A natural fortress that preserves evidence of the various cultures that have lived here. According to Greek mythology, Vulcano was the location of the blacksmiths of Hephaestus, The God of fire, metal work and the fine arts. Vulcano’s top attraction is the possibility to observe numerous volcanic phenomenons; from smoke clouds, vapor spouts (both on land and under sea level); sulphuric mud holes known for their therapeutic properties and the possibility to hike up the volcano. Dine aboard one of our motor yachts with the Aeolian Islands in Sicily Italy as a backdrop and you will have a one-of-a-kind dining experience. 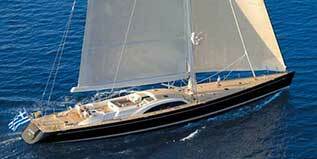 Then, hop to one or more group of islands off Sicily for a leisurely and pleasurable sailing adventure. 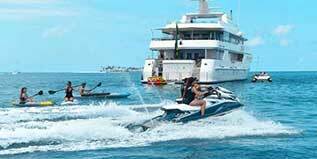 Book a motor yacht today. Our sailing yachts are available for worldwide charters, making it the perfect choice for when you don’t want to limit your adventures at the Sicily Aeolian Islands and their savage beauty. 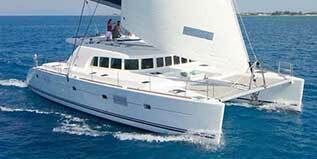 Book one of our sailing yachts today and see more of the world from the clear waters. Watch Stromboli with awe, explore Alicudi, Filicudi & Salina, party at the hot spot holiday destination in Lipari, one of the most popular Aeolian Islands in Sicily Italy. Do all these and more aboard sailing catamarans perfect for a small or big group with its spacious interiors. Made up of seven spectacular volcanic islands, sailing the Aeolian Islands in Sicily Italy is a haven for anyone looking to see one of Mother Nature’s finest creation. Check out Stromboli and Vulcano, two active volcanoes, safe and from a distance via Aeolian Islands boat charter. Surrounded by the Straight of Messina, the Tyrrhenian, Ionian and Mediterranean Seas , Sicily is the largest of the Italian islands. The island has archeological evidence of human dwellings as early as 12000 BC. From ancient tribes the island has been inhibited by an array of people, Greek, Romans, Normans only to mention a few. Several achiologigal sites on the island are today protected by UNESCO’s World Heritage sites. The protected marine area of Egadi Islands are formed between three islands off the north-western coast of Sicily. Crystal clear waters, spectacular shoreline, richness in wildlife and flora as well as archaeological finds, together with a relaxed and peaceful atmosphere, this area is considered a small terrestrial paradise. Located on the northwest of the island of Sicily, by the Bay of Palermo lies the City of Palermo, capital of Sicily and the Province of Palermo. The city was founded over 2,700 years ago and was originally named by the Phoenicians as Ziz (‘flower’). It is a metropolitan city rich in history, culture, art, music and food. Whether your preference is shopping, beaches, archaeological finds, opera, nightlife or fresh vegetable markers Palermo caters for all and is a perfect start on your Sicily and Aeolian Island cruise. The very busy shipping passage Straight of Messina is the narrow channel between the Punta del Faro, on the north-eastern tip of Sicily and Punta Pezzo on the western tip of region of Calabria. Characterised by strong tidal currents this important channel have been used since ancient days. Taormina is a must on your Sicily yacht charter cruise. This wonderfully picturesque city sits high above the bay and is rich in history, culture and culinary splendours. The Greek-Roman theatre is still used as such and you can enjoy operas and theatre is this grandiose and unchallenged setting. 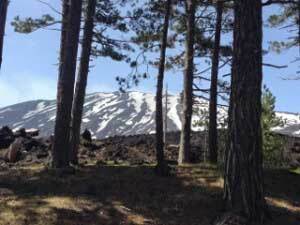 South west of Taormina you will find the 58000 ha protected regional nature park of Parco dell’Etna. In the center is the most active stratovolcano in the world – Mount Etna. The volcano’s eruptive history can be traced back 500,000 years and at least 2,700 years of this activity has been documented. The mountain is surrounded by a unique nature environment protected by UNESCO. 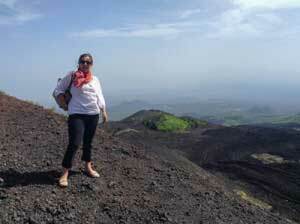 Cradled amidst the splendid nature and at the foot of the Mount Etna lies the city of Catania. 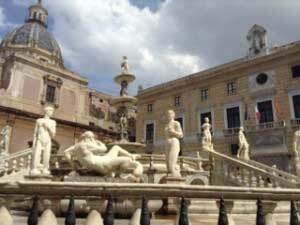 Founded in the 8th century BC Catania is a city full of historic attractions. The city has an important commercial port and the airport is located south of the city center. The archaeological sites of the Agrigento Area, Late Baroque Towns of the Val di Noto, Villa Romana del Casale Syracuse and the Rocky Necropolis of Pantalica are all listed as World Heritage sites by UNESCO. Nothing screams sailing adventure than a yacht charter to The Aeolian Islands in Sicily, Italy where volcanoes make your trip as hot as lava. Combined with other natural beauty and wonders, hopping from one island to another would be an unforgettable experience. 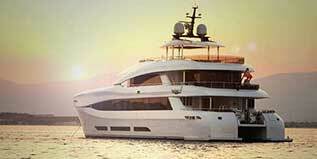 Use this form for that ultimate yacht charter in Sicily and The Aeolian Islands. In just a few steps, you’ll be closer to sailing to your next destination. 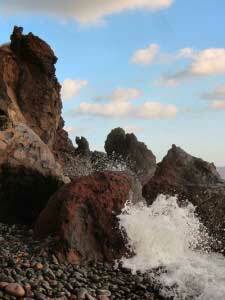 Visit the volcano of Stromboli, also known as the “Lighthouse of the Mediterranean”. Take a dip at the white beaches in Lipari. 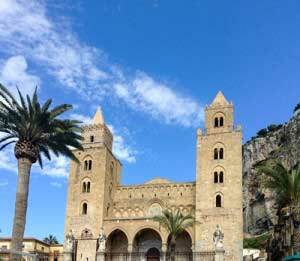 Go on a historical journey in Sicily, particularly its many archeological sites, and more. 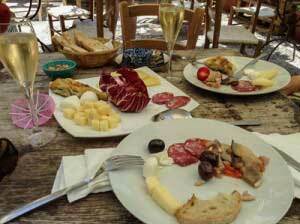 For more West Med destinations visit out main West Mediterranean page.